Lemoncillo and seafood - its a slam dunk! Old World Gourmet, a made in the usa manufacturer of frozen wine and liquor mixes has teamed with Lakeridge Winery, Flordia's largest premium winery for the 3rd annual wine and seafood festival march 23-27. 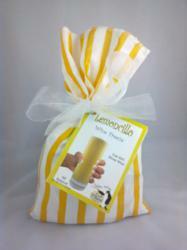 OWG will feature its mvp (most valuable product) lemoncillo blended with lakeridge premium wine. The team expects over 30,000 fans to pack the winery over the 4 day event. Exicited fans will be able to sample not only the OWG lemoncillo, but fresh ans unique seafood recipes prepared by some of the leading chefs in the region. Fans will also be able to take part in a "fan experience" with over 200 additional vendors.